Whether a jeweler uses gemstones they cut themselves or a customer brings a precious stone from a family heirloom, designing a piece around that gem must be done with care in order to ensure that it isn’t broken, chipped, or loosely mounted. Not every gemstone is shaped the same way, and that’s part of what makes them so special and unique. 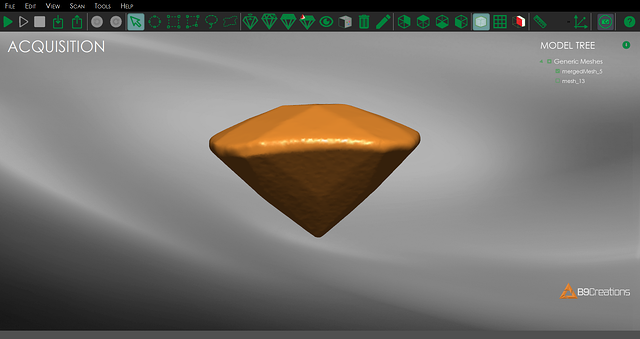 The B9 Scan 350 allows jewelers to scan these gemstones, directly placing the gemstone on the 3D model. 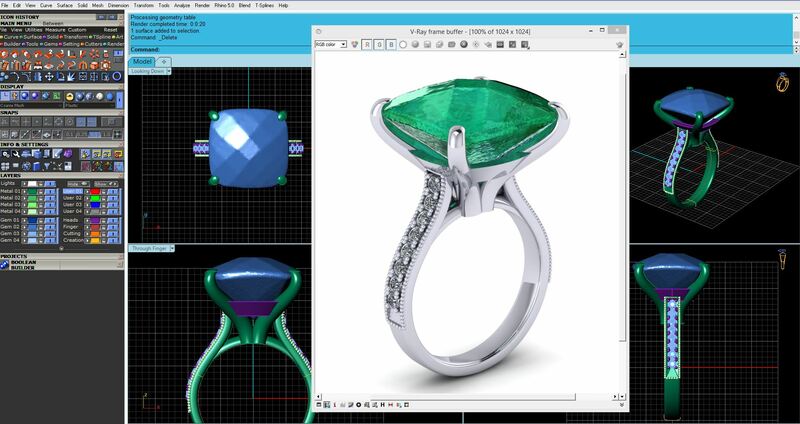 With this in mind, jewelers and CAD software users can guarantee that their final product will fit the gemstone, no matter the symmetry, angles, or contour of the girdle. Don’t try to make something fit and ruin it. The blame falls on the jeweler, and not only is a beautiful gem put to waste, but is a costly expense for the retail shop to replace. Instead, get a high resolution scan in 5 minutes and create a perfect mounting with no imperfections - plus no more guessing if the resin model will need revision or worrying about breaking a stone. Just a perfect fit each and every time. Read more stories of impact. See how our 3D scanner saved a soldier's 60-year-old dog tags or replicate a priceless family heirloom for an upcoming engagement.